For this week, let’s learn a peace-loving folk song with this Down by the Riverside ukulele tutorial featuring lyrics, chords and tabs you can view on screen. 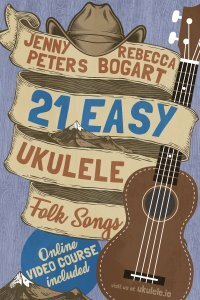 Down by the Riverside is one of the songs from our latest book 21 Easy Ukulele Folk Songs which you can purchase here. In order to play along with this Down by the Riverside ukulele tutorial, you’ll need only four chords. The ukulele chords are C, F, G7 and C7. As for the strumming pattern – Jenny follows a D-DU-UD-U (D-down, U-up) repetition. Finally, Jenny also plays solo ukulele for both the verse and chorus parts. To learn more about how to play the song on ukulele including melody tab, join us on Facebook. 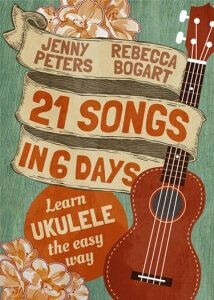 Jenny will have a Facebook live lesson for Down by the Riverside ukulele tutorial later this week. If you miss the live session, check the recording on the videos section of our Facebook page. By the way, subscribe here for weekly ukulele newsletters. Most importantly, you’ll receive notification about the featured ukulele tutorial for the week with the lead sheet. If you want music sheet for the past tutorials, contact us. Although Down by the Riverside was first published in 1918, its origins are believed to date back to the American Civil War or even earlier. Accordingly, African American slaves sung Down by the Riverside as a work song with lines from other spirituals. Some historians also refer to the song as Ain’t Gonna Study War No More. While the lyrics of the verses sometimes differ on the song’s many versions, the lines of the chorus are mostly retained. The following line gets repeated on the chorus: I ain’t gonna study war no more. Because of this message of promoting peace, many musicians also use the song as an anti-war protest. With such a great message and an upbeat rhythm, no wonder many artists and musicians have covered the song. For instance, Elvis Presley recorded Down by the Riverside on two occasions. He first recorded the song in 1956 on an impromptu jam session with Johnny Cash, Carl Perkins and Jerry Lee Lewis, later dubbed as Million Dollar Quartet. Presley also included the song in a 1966 soundtrack album called Frankie and Johnny. Other notable recordings of the song include those of Louis Armstrong, Lead Belly, Bing Crosby, Sister Rosetta Tharpe, Nat King Cole and Van Morrison.